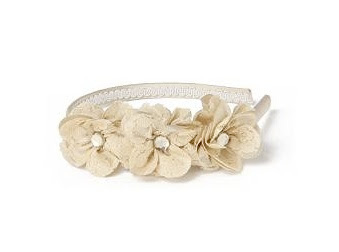 Anthropologie has a few bridal worthy and cost-effective hairpieces on their site. I love how frilly and feminine they are- although the Lilac Breeze Barrette does come in black and a lovely shade of yellow. 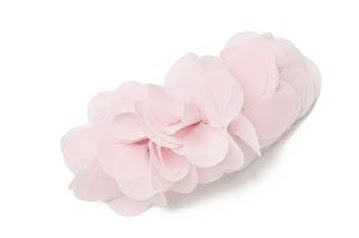 I saw the Duchess Headband while out shopping on Monday. The metallic thread and glass beading give it a little more sparkle than it might appear in the photo. I love the vintage looking lace on the Honeysuckle Headband. The glass buttons also glam it up a bit. Like I said in the post above... two weddings, one summer... I know where everything can be found!